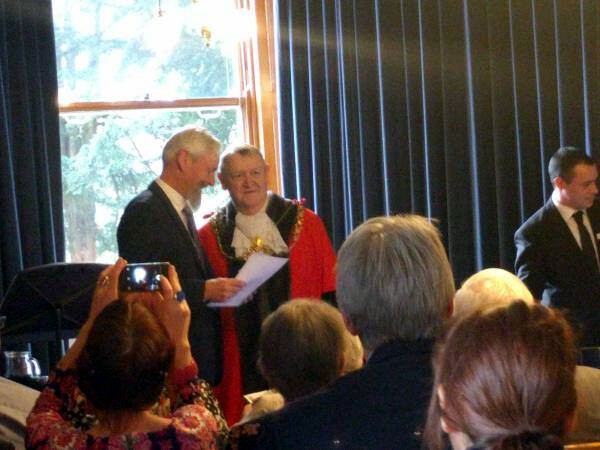 On Tuesday March 21st, your correspondent had a special appointment to keep up at the Mansion House in Clifton, the official residence of the Lord Mayor of Bristol. The occasion was the presentation of Lord Mayor’s Medals to what Jeff Lovell, the current Lord Mayor, described in his opening remarks as “community champions”. Only some 20 medals are awarded each year and your ‘umble scribe was a recipient this year. According to the citation, I was commended for my work in the voluntary and community sector in East Bristol, including all the Tidy BS5 efforts to make Easton and Lawrence Hill a cleaner, more pleasant environment. However, I was not the only recipient with a BS5 postcode. Three other locals received recognition. Hannah Crudgington was recognised for her work for Tidy BS5 (particularly her videos. Ed.) and her efforts to show a more positive side to Easton than is generally given by the local media. Bruce Yates was commended for his work in turning around local youth organisation Baggator at The Pickle Factory in All Hallows Road, as well as his work for RADE Bristol, which campaigns for inner-city clean air and against efforts to install polluting standby electricity generating plant in the city. Last but not least, Amy Harrison received a medal for her work for Up Our Street. All four of us are shown in the photograph below. 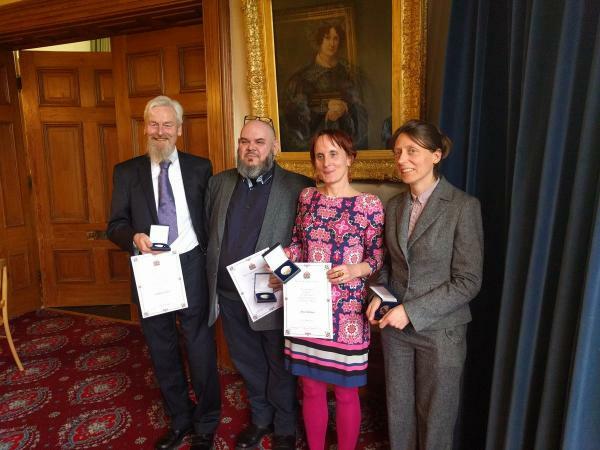 The BS5 recipients of the Lord Mayor’s Medal. Picture courtesy of Up Our Street. It was, all told, a lovely afternoon, which was made even more special by a surprise visit by my eldest niece Katherine and boyfriend Martyn, who were subsequently treated to a night on the tiles in Easton. This entry was posted by Steve Woods on April 12, 2017 at 09:34, and is filed under Bristol, Media, Oddities, Politics. Follow any responses to this post through RSS 2.0. Both comments and pings are currently closed. Well done Steve. Richly deserved. It’s so lovely that people such as all of you, who work so tirelessly for the community, with no thought of personal gain, have now been recognised for all your efforts.